Hurricane Harvey is the latest natural disaster to grab headlines and wring hearts, but have you stopped to think about how your small business would deal with a similar crisis? From earthquakes and tornadoes to fires and floods, natural disasters can put your small business out of commission — and even out of business permanently. Even a small-scale event, like an electrical short in your building that ignites a fire, can pose a threat to your business’ survival. Since September is National Preparedness Month, I thought it’s a good time to share some tips to help you develop your own business disaster plan. Step 1. Pinpoint potential risks. What natural disasters are most likely to strike in your area? What natural or man-made disasters would have the most drastic effect on your business? Step 2. Imagine impacts. How would each of the above disasters affect your business? For instance, would it keep your employees from getting to work, prevent you from accessing key documents or delay shipments of inventory? What would be the trickle-down effects — for example, if you can’t get new inventory, would you still be able to make sales? Step 3. Plan your response. Starting with the most likely disasters and those that would have the biggest effect on your business, develop plans for how you would continue operating even if that disaster occurred. For example, if your business is in a region subject to flooding, you’d want to digitize important business data so you don’t lose information to flooded file cabinets. Focus first on core functions of your business, such as the ability to serve customers, get paid and pay your suppliers. Step 4. Prepare your technology. Even if the disaster doesn’t directly strike your business, a natural disaster nearby could keep employees from getting to work for days or even weeks. Implementing cloud-based software solutions that your employees can access wherever they are can help keep your business running despite disaster. You can also benefit from web-based videoconferencing tools so you can hold meetings from multiple locations. In addition to storing key information in the cloud, make sure your employees have the tech tools they need to work from home if necessary. Step 5. Protect your people. If a disaster strikes while you and your team are in the office, the safety of employees should be your first priority. Create plans for exiting the building and practice them. Develop an emergency org chart that identifies who is responsible for what step, such as making sure everyone is out of the building or calling the fire department. Is there a chance you and your employees could be stuck in the building for days? It’s a good idea to maintain emergency water, food, flashlights, batteries, backup chargers and hand-crank radios just in case. Step 6. Update your business insurance. Your insurance agent can work with you to help pinpoint risks and make sure that you’re adequately insured for the most likely ones. For example, many victims of Hurricane Harvey are only now discovering, to their dismay, that their insurance did not include coverage for floods. If you need special coverage, such as for earthquakes or floods, the time to find out is before disaster strikes. Then be sure you have digital copies of your insurance documents stored in the cloud and backupt copies at home so you can access them to file claims after an emergency strikes. While planning for disaster may seem daunting, you’re not alone. The SBA has information and resources to help you develop a disaster plan for your business. 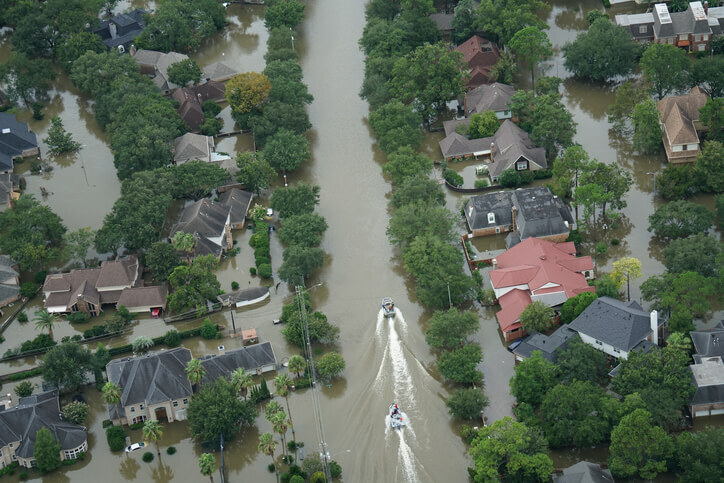 SCORE has a wide range of business disaster planning resources, too, including checklists and workshops on everything from hurricanes to earthquakes.